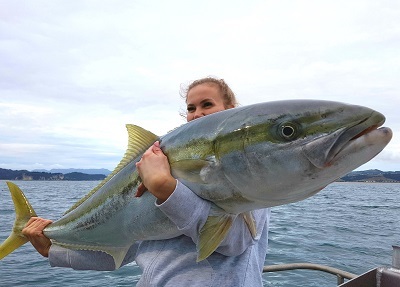 Call 0800 EPIC NZ or +64 21 886 223 today and ask to fish on Coroking. Typing this it is blowing 30 knots outside and raining hard but yesterday was something completely different with beautiful flat seas and fish on the bite. When you time it right for these beautiful winters days there is nothing better. Finally we have seen the end to what have seemed to be an endless issue with sharks out on the deeper pins and some beautiful kings are starting to show up. 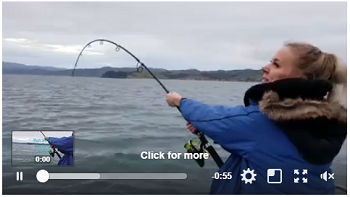 As far as the bait, it has been holding strong in the bay and easy pickings most days out which can make a massive difference to a days fishing. Some of you may have seen this video of a great fight in the shallows. Looking into the months ahead as spring is approaching there should be some good times on the kingi front with the snapper starting to show up in numbers on the outer pins and the bigger fish on the inshore reefs. It is a great time to target big snappers in close and the bigger kings on the off shore pins, but as spring approaches we will have both on the outer pins. So a lot of good fishing ahead as the temperature of the water trends up and the bite comes on. 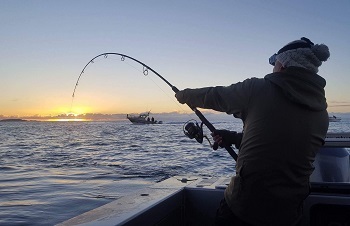 Call 0800 EPIC NZ or +64 21 886 223 today and ask to fish on Madmax. Capt Tom is enjoying a well earned break by going fishing of course! 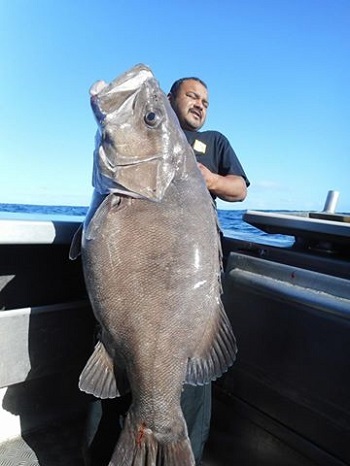 He is currently smashing big fish somewhere between here and Tonga. Below are a selection of fish from the last month on Madmax. 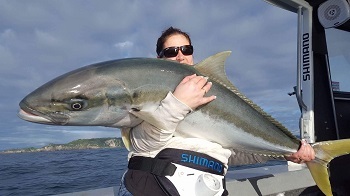 With the weather having its good and bad days I’ve been doing a fair bit of fishing in close around the islands from castle through to Whale island and the likes, The kings are in fat winter condition and in good size up to around the 25kg Mark, Snapper have also been a welcome by catch nailing some of the “slower ” livies. Towards the end of this month there’s been a couple of gnarley storms come through which has cooled the water temperature right down and pushed the kings out of the shallows, and the pins have started to fire up! That’s for July and we’ll see what august has in store for us. Half way into the year and winter is not holding back from wild weather or epic fishing. The shallows or rock fishing is where it’s at this time of year. 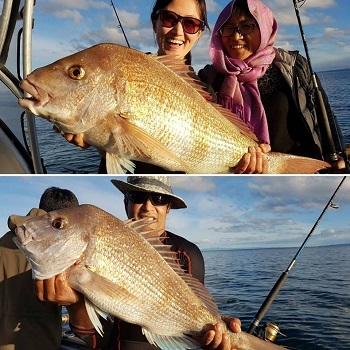 We have been smashing some nice snapper in 5 to 7 metres of water and getting plagued by Kahawai. The water temp is still up in the mid teens, so fishing is at it best. Berley is the key to hot fishing.